Now that spring has officially sprung it was time for me to begin my annual ritual of decluttering the pantry. Newly devoid of expired foods I was able to group the five bottles of oyster sauce and three bottles of mustard together near my 60 lbs. of brown rice (I keep this much on hand just in case of a zombie apocalypse, a doomsday scenario, or we get really, really hungry.) As I took a last look at my organizational handiwork and tried to figure out how I ended up with five bottles of oyster sauce and three bottles of mustard, I started thinking about how important it is to “spring clean your business” too. I was also making a mental list of who would be lucky enough to share my brown rice when the zombies start rising. 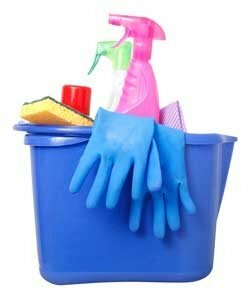 Just as we clean up our homes for spring, we also should spring clean for our business too. Did you know that by conducting some “spring cleaning” in the form of a voluntary audit could help you avoid liability? A voluntary audit can save you $70,000! Your business is required to provide a safe work environment free from unhealthful or hazardous conditions for its employees under OSHA, the Occupational Safety and Health Act. 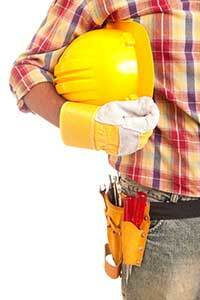 OSHA may conduct its own inspection of your business. If your business has significant health and safety violations, OSHA may fine you $70,000 for each willful violation (and no less than $5000 per violation)! Not only that, but OSHA could also issue a press release about your violations. So in addition to fines they could seriously damage your reputation and the morale among your employees. A self audit or a voluntary audit means you decide to conduct an audit on your own. For instance, it could be a simple safety audit evaluating whether a machine is properly installed and protecting your workers from moving parts. Or it could be a record keeping audit. Did you know that you can avoid liability and fines with a voluntary audit? OSHA will not issue you a citation for a violation that you discovered through a voluntary self-audit (even if the condition existed within the six-month period during which OSHA can issue citations) if you corrected the problem before your OSHA inspection and you’ve taken appropriate steps to prevent a reoccurrence. But there’s also a risk: What if you conduct a voluntary audit, but OSHA decides later that you failed to properly address the safety issue? 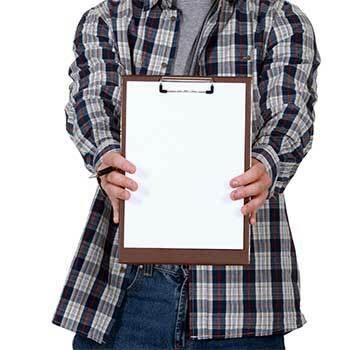 For example, let’s say OSHA inspects your plant and observes a potential exposure to lead; OSHA will most likely request your self-audit reports. You knew your plant needed a new ventilation system, but you had planned to wait three months until a plant shutdown to replace the system–a willful citation is possible. Yup, a willful citation is possible even if you repaired the existing ventilation system and employees were wearing respiratory protection and protective clothing and were not experiencing frequent overexposures to lead at the plant. OSHA’s likely theory would be that you had an obligation to install the new ventilation system immediately because personal protective equipment is less reliable in that it depends on employees consistently and properly using it. If you fail to correct a violation within the time period provided, OSHA may fine your business up to $7,000 a day until the violation is corrected. Yikes! But Wait – There’s a Better Way! The truth is you might want to be able to conduct an audit but you don’t want to have to disclose the results of the audit to OSHA or others (who may use it against you despite your best intentions). The solution may be to conduct your voluntary audit under the attorney-client privilege, which can generally protect communications between lawyers and their clients from disclosure to others. When an audit is conducted by, or under the direction of, an attorney, the audit may be protected from disclosure under certain circumstances.